Drive is a riveting watch. This art-house action-noir is especially successful in what is so hard to see in movies today: style plus substance, with a fantastic Ryan Gosling as a sullen, calculating and self-controlled Man With No Name in a plot that perfectly blends a melancholy atmosphere and brutal violence. 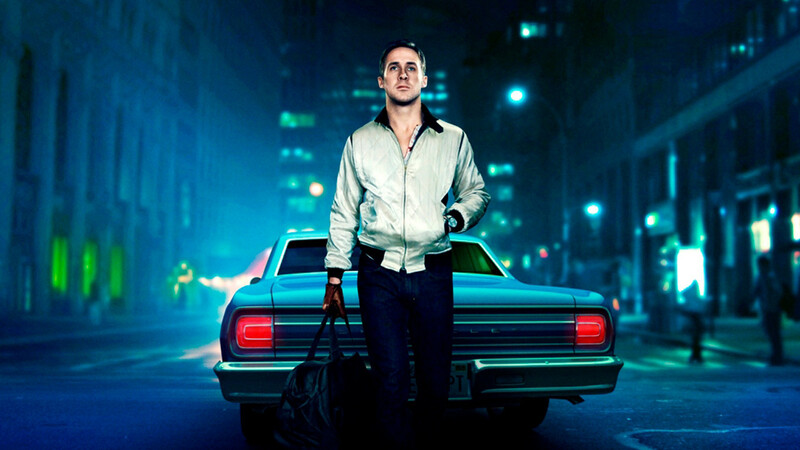 He didn’t have much dialogue — or even really a name — but Ryan Gosling’s character in Nicolas Winding Refn’s Drive came equipped with enough cool to rock a satin scorpion jacket — and enough hard-won knowledge of the L.A. underworld to try and make a difference in the lives of his alluringly sad neighbor and her recently returned ex-con husband. The movie transforms Paris into a futuristic-yet-apocalyptic shadow world, focusing on a new tenant in an apartment building ruled over by a landlord who also happens to run a butcher shop. 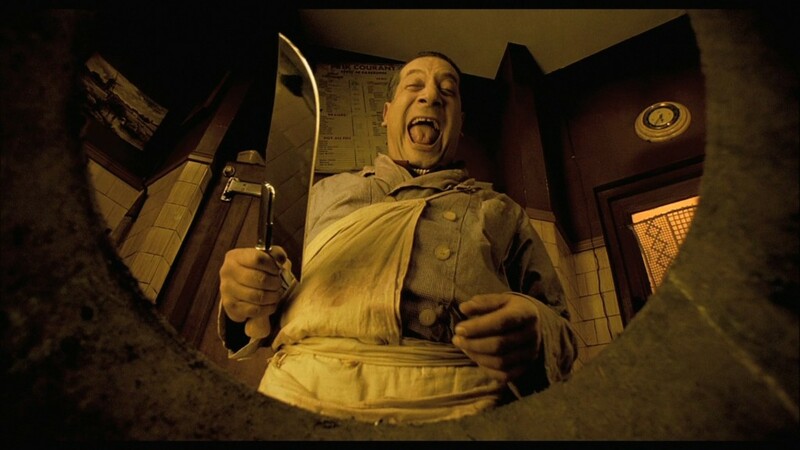 Delicatessen is hard to pin down under a specific genre label; it’s a surreal black comedy, a human drama, a post-apocalyptic horror movie, a twisted thriller, a futuristic fantasy; twisted, darkly funny and stylish—the French movie outdoes most American horror comedies. Oliver Stone’s somewhat satirical film about serial killers embarking on a murder spree for nothing more than kicks wasn’t just controversial because of its visuals, but because it took the senseless violence that we hear about in the news and put it on the big screen for our entertainment. The MPAA forced Stone to cut dozens of grisly shots to ensure that it didn’t get labeled with the box office NC-17 death-mark rating for its glamorization of violence. This is a cult movie about cult killers; a visual assault on your senses. Guillermo Del Toro’s fantasy adventure, set during the Spanish Civil War, is beautiful, vividly imagined and spellbinding. It’s the story of a girl named Ofelia who’s drawn into an imaginary land to escape the horrors around her, as well as her sadistic stepfather Captain Vidal, who serves in General Franco’s fascist army. Despite the wonderful creatures Ofelia encounters in her fantasy land, the threats that lurk in both her real and made-up worlds are chilling. Like many of del Toro’s films, it’s a political allegory as well as a gothic fantasy. The heady mix of whimsy and violence wasn’t everyone’s cup of tea, but it won enough fans and ensured a cult following. With its long shots and lack of drama, the film was misunderstood on its debut but has since been recognised as a classic, serving as metaphor for the confusion surrounding the Aids epidemic of the 80s. A profoundly unsettling work from the great American director Todd Haynes, Safe functions on multiple levels: as a prescient commentary on self-help culture, as a metaphor for the AIDS crisis, as a drama about class and social estrangement, and as a horror film about what you cannot see. The film is not a typical medical drama, having the underlying menace of a science fiction or horror film. Danny Boyle’s movie about four Scottish wastrels throwing their lives away on heroin, came out in 1996, and if you go back and watch it now, every squalid frame of it pulses with the freedom of the ’90s. The movie is set in the gutter, in icky sordid flats and junk dens, in “the worst toilet in Scotland,” yet the entire thing is recklessly and thrillingly alive. Trainspotting is furiously paced, relentlessly stylish and in equal parts, entertaining and sickening. Despite sitting on MGM’s shelf for awhile, before Lionsgate stepped in to release it, Drew Goodard’s directorial debut (which he co-wrote with Joss Whedon) paid homage to the horror movie genre while both satirizing and elevating the “final girl” tropes into one of the best, and most inventive, scary movies ever. The Cabin in the Woods’ big contribution to pop culture: surface-level explorations of our interiors. Sometimes those explorations are couched in allegory. This movie’s twist is part of what turned it into an instant cult movie. Audiences flocked to it to find out the secret, but then refused to spoil the movie by giving away the secret. Therefore, if you saw the movie and knew the secret, you were part of a special club. That said, Neil Jordan’s psychological drama refuses to be pigeonholed in any way: It starts off as a thriller, then morphs into a relationship drama before its climactic shootout. It shouldn’t work, but it does. Which cult classic do you feel deserves a spot on our list? Sound off in the comments.